Some years ago I spoke to someone who’d been to a motivational seminar. The result of it was that it had inspired her to write a book. That’s great news I thought, a real tangible action that she could follow through. The next question was of course, “what’s the book about?” She said, “It’s called Me, Myself and I – the story of my life”. Now I don’t want to sound too dismissive. I didn’t know her that well either. But what I did know was that she was more or less like most of us. Fairly straightforwardly normal. Nothing particularly remarkable had happened to her that hasn’t also happened to me and you. At this point I think we’d all agree that this was a pretty poor idea for a book. If she was writing this autobiography for her own and her families enjoyment then that’s a good thing. We should all do that in some form, to record and pass on our stories and experiences to the next generation or simply to reminisce. But who else is even remotely interested? Let’s face the facts: no-one. By the end of this article I’m going to change my mind about that. Let’s see if you do too. Since then I’ve met a load of other people who’ve been to motivational seminars and have come out with the ‘big idea’ to write a book about their average mediocre lives. I’ve also met a lot of people who’ve had some wonderful or tragic experiences. On the face of it, these heroes appear to have it easy, they can tell the story of their triumph over adversity, good fortune or hard work. The story is right there for the telling. But they have a little problem in that when that big story is told, there is nothing else to tell. They have become that story. There’s nothing more to give. And that’s why us ordinary folk have a subtle advantage. But we have to work hard to get a grip on it. If you’ve ever read any biography of a famous person or seen an in-depth interview (like the ones Michael Parkinson used to do, not the product placement ones we get nowadays) you may have noticed how they work. The story of their life doesn’t necessarily start at the beginning. It is framed up with the main thing that they are famous for. Every part of the biographical detail from then on, every story that follows, adds insight which builds the picture of the famous person and the fame they were born to have. If it’s an actor, they’ll recount the first time they ever acted (probably a game they played as a child). If it’s a comedian, they’ll recount the first laugh they got from their mates or from the school bully to avoid being punched. They miss out most of the missed opportunities and other adventures that aren’t central to the main driving story of their life’s purpose. They don’t recount their holidays or what they got for Christmas unless it’s central to the main thrust. Often they don’t mention their children, who may be in reality the most important people in their lives. If they don’t play a main role in the big story, they don’t get a look in. It’s the secret method hidden in every kind of storytelling. You only mention things that are relevant. To add drama you may not reveal their relevance straight away and when the reader realises the truth later on, they experience that wonderful payback as they form the thread of the meaning of the story in their own minds as they read. The same is true for films, for sitcoms, for plays, for everything. In fact, it’s a good way of seeing if a story is based unchanged on a real story or not as real-life accounts are full of extraneous detail that have no bearing on the plot. The point here is that famous people have a fulcrum to their life story, a pivot or purpose that vignettes are chosen to add colour and detail to the driving plot of their lives. So what has this got to do with us? Imagine if you were to write your biography now. Imagine writing it with no major destination, it’s just the story of your life, the story of ‘Me, Myself and I’. You’d have school stories, teenage adventures, college or work anecdotes, family crisis, family fun. There’d be no shortage of material, but without a focus, all those stories would be of little interest to anyone who didn’t know you as there would be no correlation between them other than they all happened to you. The reader would be desperate to link it all but without your help they’d get distracted and bored and would stop reading. Now imagine picking a point to your life. Let’s start with an easy one. Imagine the point of your life was to have your children, or to do the job you do now, or to have the lifestyle you have now or the particular hobby or interest that you’re so good at. If you wrote your biography only including the stories and anecdotes that relate to that point you’ll have a totally different book to the sprawling, meaningless all encompassing one. If you chose another, a different point, you’d have a different set of stories to include. This is why I said we’re better off than those who have one big story that’s so big it dominates everything else in their lives. These heroes struggle to tell another story of their lives without the big one getting in the way. For most of us there are dozens if not hundred of stories to tell, all of which have may a strong point. If effect we could write a dozen autobiographies of ourselves, each one different to the last. The challenge is now to choose which of the possible life purposes are we going to choose for our first book. Notice I say ‘first’ book. They say everyone has one book in them. It’s not true, everyone has dozens of books in them. We just need to decide to begin. It’s actually easier to choose than you may think. You simply chose the purpose to your life that you have the most or best stories to tell. You choose ‘the point’ that the book will make that is the most interesting or compelling that a certain type of audience will want to hear. If you take this approach, what you’ve really done is the opposite of what most new authors do. You’ve picked a purpose that is powerful, personal and relevant to others, that you have a cache of real personal stories to add human interest which grips and entertains the reader. You then add in relevant research, facts and data about the topic to educate the reader. What you’ve done is given the reader a useful, valuable experience that is unique. It’s your personal take on the topic. It’s that unique personal take which is the magnet that attracts the reader to the content. A personal story with no point is irrelevant and content without a personal take is a textbook which is boring. So here’s your task. Writing your autobiography is actually a good thing! Why? because by plotting out your journeys, stories and anecdotes, randomly at first, you’ll start to see patterns emerging. By writing ‘Me Myself and I’ you’ll build up a body of work that will become your resource bank of material for your entire writing career. Call us today on +44(0)1865 779944 to discuss how we can turn your expertise into a brand or create a book with selling power. Some people love writing. Some people don’t. And yet those that don’t, still love speaking, thinking and often reading. I believe it’s not writing that they have a problem with but the method they go about it. Here are 7 top tips to make it easier, more enjoyable and quicker. Non-linear means not doing things in order. This is so important when planing your book otherwise you’ll loose the big picture and the purpose that will drive your motivation. Some people swear by the concept of MindMaps where you write the name of the book in the centre of a bit of paper and have ideas curving off it like tentacles. Each of those tentacles has further ideas sprouting off them. The problem with this is that it requires a set hierarchy from the very start. You need to know what the top level chapters or main headings are to begin with. This is not helpful. A better was is to be far more random to start with (and keep the big all-singing-all-dancing MindMap method for later to create the structure). So start by writing down random ideas that should be included in the book on a big piece of paper. Each of these points re in effect mini-MindMaps from which you can spur off further ideas of content. But this way you have the freedom to not worry about what comes first or what’s more important. This method allows your mind to keep thinking. Facts should be backed up with references where necessary, but having to have references for everything is tedious and often slows down your writing. There’s a simple way to get around this. You book should have the relevant facts, of course, but the majority of the text should be your own opinion, your own interpretation of the data. People don’t want too much data, they want to know what it means. So get the facts right and then give the readers your take on it. So many eloquent, friendly, passionate, interesting people start writing and turn into robotic bores. It’s as if they think you have to formalise your words and sentences in the written form. You don’t. Write as you speak. It’s not a legal document you’re writing. Your authority comes from the value of the content not the high and mighty way you write it. If you’ve ever found yourself writing in this formal way you’re actually falling calling upon the events of 1066 which shaped the class and power systems in Britain and later her Empire, colonies and the English speaking world. This is still true if you’re writing in the US where you thought you were immune to class struggles – the shadow of the Norman invasion is in your power structures too. When the French speaking Normans took power their formal, latin based conceptual language, removed from everyday life, became the manner in which those in power spoke and wrote. The Anglo-Saxons, mostly who were illiterate, did all the work and theirs was the language of action, and of the present. These modes of speaking informally and writing formally is our default way of communicating today. Use contractions (don’t instead of do not) if you’re sharing stories, make it sound personable. Only switch to the formal legal sounding language if you want to dominate and force something on the reader. Let’s face it, that’s not really the kind of book you should be writing. Readers don’t want great big sprawling chapters. If they wanted a long drawn out mystery they’d be reading a novel. If we make each of the points we make into a neat, digestible section which has a middle, beginning and end of its own where the point is clear. The reader will not only be able to read it and digest it easier, you’ll find it more satisfying to write. Everybody has time to write if they really want to do it. The problem comes when you leave your writing till the gaps in your busy schedule. Let’s face it; there are no gaps in your busy schedule. Writing has to be scheduled in just the same as everything else. The mistake people make is putting their writing time in the wrong place. If you get tired on an evening and all you want to do is unwind, relax, watch television, have a glass of wine, deal with the kids and their problems, eat and/or cook supper, go out or whatever, you’re not going to do any writing. Find the slot where you feel like doing it. It might be first thing in the morning, instead of jumping straight into emails or admin, do something creative. Save those mindless administrative tasks for when your creative brain has had enough and use it’s power when it’s fresh and ready to go. The rule is simple. Don’t write in the location where you would normally do non-creative tasks like administrative work. Find another desk in the same room, a different room, outside, another building, a coffee shop somewhere, anywhere that works for you. If that means getting a laptop, iPad of even a good old-fashioned notebook, just get hold of them and get on with it. It’s often better to have the tool you use as an exclusive creative tool if at all possible (i.e. not the laptop that you do your accounts on for the same reason as having a different room.) It’s all about doing the right thing to create that right state of mind. When you’re in your writing zone, just write (don’t edit). If you can’t think of the perfect bit to write just write any bit. It doesn’t matter. Compare it with exercises or circuit training. You wouldn’t stand there and worry about what order to do the exercises in, it doesn’t really matter, just pick one and get started. The act of writing inspires writing. Even if what you’re writing doesn’t feel particularly good or relevant to your main purpose, just do it. There’s a place for textbooks. They belong as reference material for classrooms and courses. They don’t work in isolation. They supplement other learning materials such as lectures, seminars or workbooks. But as far as we’re concerned as experts who write, they are irrelevant. Unless you have been commissioned by a major publisher, who has the infrastructure to get the book to market and you have been paid in advance to write it, there is absolutely no point in writing a textbook. So why does everyone do it? When experts begin writing their book, either to pitch unsolicited to a publisher or with a view to self publish, they begin in couple of particular ways. Here’s the wrong way. We can call it the linear method or ‘the brain dump’. Linear authors start by writing everything they think they possibly know about everything they know. It’s so unstructured that they try desperately to think of a start, to give them something to hang onto. Since there’s no plan, defined topic or target market in mind they have no choice but to try to start at a beginning. Such books begin with variations of “I was born at an early age in my home town” and “In the beginning…”. This linear way of starting kills the motivation to write really quickly. The actual ‘beginning’ of any story is usually very boring. Boring to write and boring to read. It’s also out of context. The reader is given no clues at that point as to what’s going to happen. That’s why most fiction and all movies start well into the story. The action has already begun. Good authors recognise that they’re not telling the entire story of everything, they’re just telling one story that sits within a bigger story. A James Bond film doesn’t start with him being born. It doesn’t start with him sitting in the secret service offices waiting for the phone to ring. It starts at the peak of some action. “But I’m not writing stories! I’m not writing fiction!” I imagine I hear you cry. I doesn’t matter. The same rules apply. Any writing needs to engage the reader enough so that they don’t stop reading through boredom. The only book that’s allowed to start at the beginning of all creation is the Bible. And even with that the writers wrote that very first bit of Genesis last. This linear way of writing is bad for the reader but it’s worse for the writer. It will almost always create ‘writers block’ which we can define as boredom, lack of confidence and lack of inspiration. If those blocks are overcome the result is a textbook. 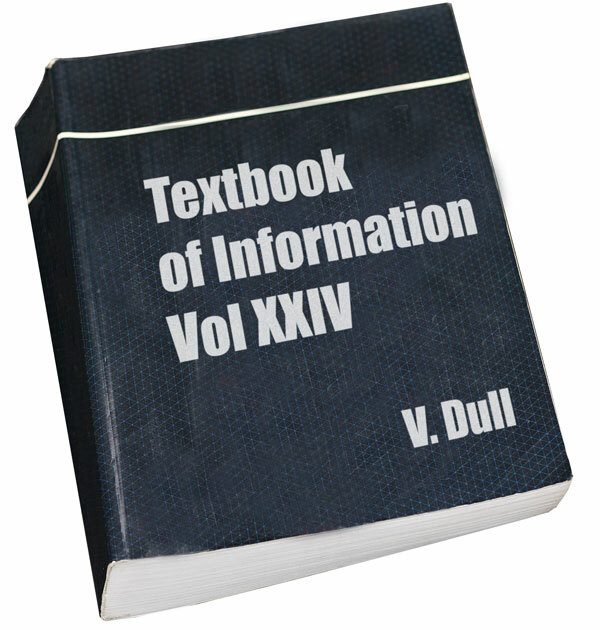 These boring textbooks are often written by lively, passionate, friendly, talented people. So why do they leave out all that passion and emotion when they write? The solution to all this, to write an engaging book, perhaps one that can be dipped into and most useful of all, one that you can actually write AND finish, is to write a non-linear book or write the book in a non-linear way. Have you ever read a textbook? Probably not. If you did it would only have been because there was a gun pointed at your head. No-one reads textbooks. So don’t write one. We’ll look at the alternative method in my next post.